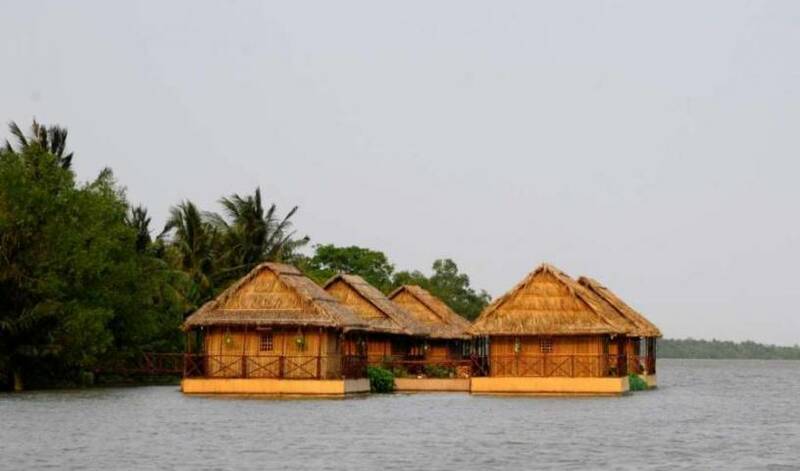 Floating houses on Mékong river : unique accommodation service in Mekong Delta! Very nice and quiet place for relaxation and discover the région ! The hotel boasts a favorable location in the heart of Cat Ba's tourist area, offering a variety of services catering to both the leisure and business travelers. A semi party hostel in Dalat, Vietnam. Situated close to the city centre, NamViet offers basic accommodation conveniently within 500 metres from Da Lat Market and 1 km from Xuan Huong Lake. Free Wi-Fi access is available in the entire hostel. Villa Cam Ly is centrally located and offers great facilities for our guests. It is located on a tranquil street in a peaceful residential area. It is 30 minutes from the airport and in walking distance of center around 10 minutes. Are you looking for an interesting stay in Dalat City? 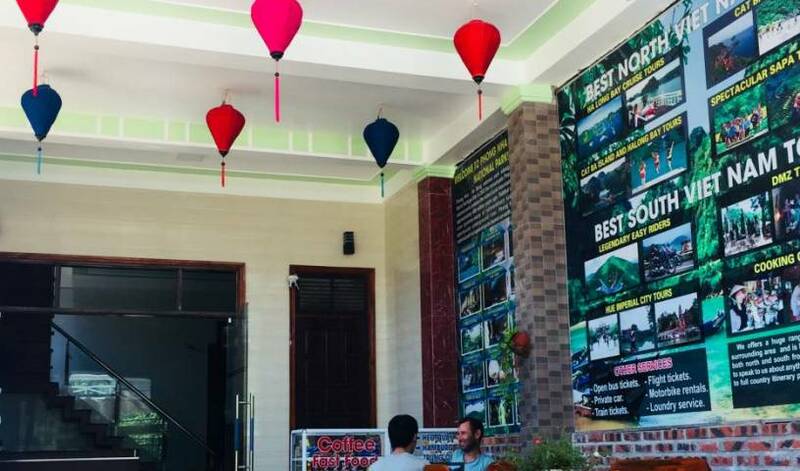 VietNam House Hostel below a valley in Dalat City Center - an ideal place whether you are traveling alone, with family or friends, is a popular choice for travelers an is in quiet. Book a room at the Ngoc Lan hotel Dalat with up to 75% off walk-in rates. 1932's hotel with colonial style brings you the different experiences to the other hotels! The only one Luxury 5 star hotel in Dalat. WELCOME IN BARNEY'S WHERE EVERYTHING IS AWESOME!!! Your time in Danang will be great with us!! Enjoy our staff and all our big family and you'll never forget this amazing city!! 5 minute walk from the train station and a bus stop to Hoi An, 7 minutes by taxi from airport, tons of good food around. We are proud to be the first international hostel in Danang with the most exciting/fun environment and the most helpful staff ever. The Secret Garden is located in center Da Nang. Popular points of interest nearby include Song Han Bridge, Cham Museum and Han Market. Staff can speak multi languages and 24/7 reception will assist you in every details. Located in the heart of Da Nang, our hostel has a big library in the common space and shelves in every bedroom. Only 10 minutes walking from hostel to Han River, Thuan Phuoc Bridge, Da Nang museum, 5 minutes walking to city’s bus station. Don’t miss Mint Homestay during a trip to beautiful Da Nang! We treat each guest as A MEMBER OF OUR FAMILY. Lovely Rooms Our rooms with balconies will welcome sunshine and fresh air! Sea Wonder Hotel Danang is located in the heart of Son Tra peninsula, a fragile gem in beautiful Danang, looking over the Mykhe beach, one of the six most luxurious beaches in the world according to the US-based Forbes Magazine. Prefer a luxury hostel with many free services? The stylish Lion City restaurant serves traditional Vietnamese and Singaporean specialities, along with Western dishes. It is open from 7 in the morning until 21 in the evening. Song Thu also offers a coffee shop. 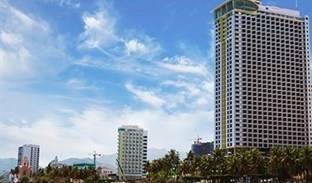 The Royal Hotel is ideally located in the center of Danang city, close to the commercial center and main tourist attractions. It takes 15 minutes from Danang International Airport and 45 minutes from the ancient Hoi An city to Royal Hotel Danang. Orange hotel is a perfect destination for the guests accessing from and to the airport, train station, the beach and Da Nang’s tourist attractions. Ovi villa welcome guests with its crystal –clear beach, smooth white sand and spaciour outdoor pools. Each luxuriour villa here gets 5 stars standard. Song Thu Hotel has the architecture with particular characteristics. It’s built as the impressive point in the heart of city and recognized as three-star international standard hotel with professional staffs, luxury convenience and perfect services. Sandy Beach Non Nuoc Resort Da Nang managed by Centara is located on 17 hectares of private garden fronting Non Nuoc Beach of the East Sea. Du Gia backpacker hostel has 8 singles beds. has mosquitoes net, Fans, mattress, linens, blanket. has western bathroom. Ha Giang Ban Tuy homestay Nestled amongst the mountains in Ha Giang Province, the village of Ban Tuy is just 3kms from the City of Ha Giang. 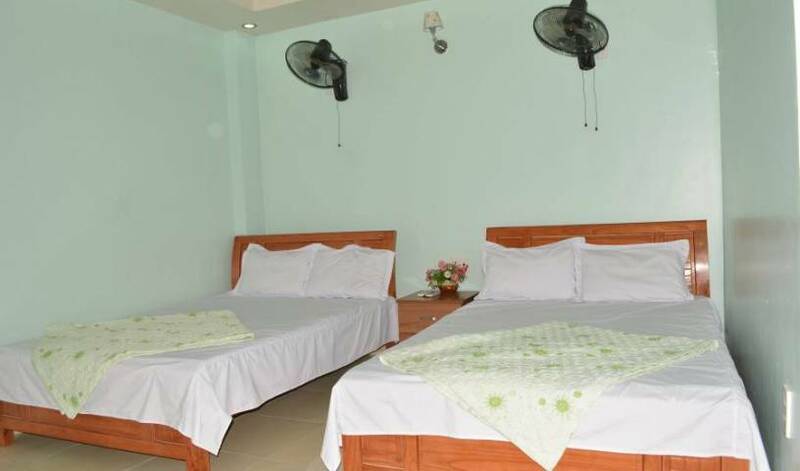 The Halong Party Hostel & Hotel is located in Bai Chay at the heart of the Halong Bay tourist area. You will find the vibe here is fun, friendly and relaxed. British and Vietnamese Owned and our Motto is Good Standards, Good Service and Good Value. Housed in an elegant building, Four Seasons Hotel Ha Long is a lovely boutique-style property. Tien Long Hotel nestles in a spacious and airy location in the heart of Bai Chay beach tourist centre. The hotel features 125 rooms, from low-priced to international standard accommodations. The Van Hai Hotel is situated at Ha Long Road, right at the seashore in Ha Long City, and about 300m from the Ferry Station. Book a room at the Cong Doan hotel Halong with up to 75% off walk-in rates. The luxurious Saigon Halong Hotel in Halong is a very popular hotel in Vietnam. The location is very convenient, the room facilities and other amenities are wide ranging. The Saigon Halong Hotel in Halong boasts panoramic views of the bay and city. 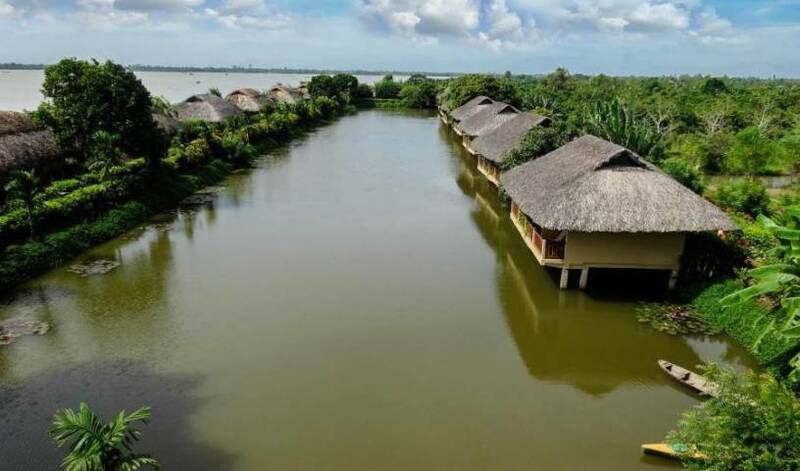 Ocean Beach Resort, is Halong Bays only Private Eco-Island Beach Resort. It is located 3 miles south-east of Cat Ba, the largest eastern island in Halong Bay and a UNESCO recognized World Biosphere Reserve. Best Cruise. Morden Facilities. Good service. Nice. Luxury. Ideally located by Halong Bay, a World Natural Heritage Site the Halong Plaza Hotel combines a warm welcome and excellent service to provide the ideal venue for business and leisure travelers. Halong Black Pearl Junk:Consist of 9 traditional wooden junk boats with Airconditioners offering daily and overnight on boat cruise to visit Halong bay Vietnam . We are not only sell daily joining group seats for tourists but also for lease private Junks,. Launched in April 2009, Marguerite is now widely known as one of the best choices for deluxe junk boats on Halong Bay. In traditional style decoration, Marguerite Junk is entirely built of wood for quality ships. Hotel in Halong, Accommodation in Halong Bay, Where to stay in Halong Bay, Van Hai Halong Hotel. Gray Line Ha Long ( a 4 star cruise ) is a brand new Vietnamese wooden cruise created by a professional, loyal and dedicated team with 14 en-suite fully equipped luxury cabins. Ga hostel is located in the old quarter - the center of Ha Noi city, about 5 minutes walking from Hoan Kiem Lake It’s easy to walk to many tourist attractions from Ga hostel. The Little Hanoi Hotel 46 Hang Ga located in the heart of Hanoi Old Quater. Run by two Aussie backpackers, our hostel offers a fun, social and relaxed atmosphere. We have a rooftop lounge bar, pool table terrace, movie room, great tours and much more! Light Star Hotel is a Boutique Hotel In Hanoi. Ideally located in the heart of Hanoi's Ancient Streets, just a minute's walk to the famous Dong Xuan Market, Light Star Hotel offers a modern and diverse range of facilities and services. The simple ideal 'Let's make a place where we'd want to stay'. So the Camellia is kept laid back, safe, clean and social and great value hotel! This idealest accommodation is found for backpackers, who really want to discover our slogan that "YOUR PLEASURE IS OUR SUCCESS"
We highly recommend a new hotel in Hanoi. Located right in the center oldquarter. Just 5 minutes walk to Hoan Kiem, close to ATM bank, Vietnamese and Western restaurants. Hanoi Advisor Hotel is perfect place to stay. Hanoi Liberty hotel is not only affordable accommodation and it offers many services, including package tours to HA LONG BAY, SAPA TREEKING., and visa assistance. Coming to Hanoi Liberty hotel to get best price for your perfect holiday in Viet nam. The hotel locations in center and among ancient shopping streets of Hanoi city. Ideally located in the heart of Hanoi's Old Quarter, the newly-built Asia Queen Boutique Hotel offers a luxury accommodation with modern facilities & amenities served by a team of professional staff. Best location hostel, best value hostel in Hanoi Old quarter. Welcome to Lucky Paradise Hotel ! A New Boutique Hotel in the center of Hanoi's historic Old Quarter with luxury rooms serviced with great care. SPECIAL FREE TAXI PICK UP FROM AIRPORT TO HOTEL. Hanoi Lucky Queen Hotel with 20 rooms feature modern facilities: AC, IDD Tel, TV, Mini bar, Tea and coffee making facilities, In room safety, private bathrooms with tub and hot shower. Internet is free as well as wireless in the room. Hanoi Spring Hotel highly is recommended by the Lonely Planet. It is a great place to base yourself as you explore the delights of our fine city, as many attractions are only a short walk away from the property. Only one minute to have look and compare ! A Boutique hotel located in the heart of Hanoi's historic Old Quarter with luxury rooms serviced with great care. New 2-star hotel in the Old Quarter, close to Hoan Kiem Lake. 21 Bat Dan Street, Hoan Kiem District, Hanoi. Warmest welcome to Hanoi Blue Moon Hotel– the luxury boutique hotel in the heart of Hanoi Old Quarter. A New Openning and The best choice to stay in Ha NOi's Old Quarter !!! Ideally located in the heart of Hanoi's Ancient Streets, just a minute's walk to the famous Hoan Kiem Lake (Sword Restored), HANOI QUEEN offers a modern and diverse range of facilities and services. A brand new 3 star hotel in among the Hanoi Old Quarter. Hanoi Gate 1 Hotel located on the right site of the most famous historic spot in Viet Nam designed to cater to discerning travelers who want a modern touch to their Vietnam experience. Located in the Hanoi Old Quarter, the most vibrant area and less than 2 minutes on foot to the Hoan Kiem Lake. Why not use Journey's as your stop over? Stay at Hanoi Grace Hotel and we will guarantee a GREAT time. Hanoi Lucky II Hotel, a three stars brand new hotel in the center of Ha Noi. Hanoi Lucky II Hotel is located in the heart of Hanoi Old Quarter. Hanoi Silver Hotel is one of the most beautiful and luxurious hotels in the center of Hanoi’s OLD QUARTER. Boutique Hotel has been renovated with up-to-date amenities to make it to be the finest two star hotel in Hanoi Old Quarter. In the midst of the city's hustle & bustle, comes a hotel with unique features, the '' DUC THAI'' Hotel, in Hanoi's most prestigious Hoan Kiem lake. Garnet Hotel - 3 Star Hotel in Hanoi's Old Quarter - Cheap Price!!! Located in the centre of Hanoi old city, Hanoi Charming Hotel offers beautiful and spacious rooms with nice view of hanoi old street. In April 2010 there opens a new boutique hotel in the heart of Hanoi Old Quarter……. Garnet Hotel is one of the most beautiful and luxurious hotel in the center of Ha Noi capital, surrounded by bustling shopping ancient streets. With over 19 international standard rooms and profesional reception staff. Located in the heart of Hanoi's Old Quarter. We never stop our efforts to bring you the best services and the most comfortable conditions. Should you require help arranging a meeting, transport, computer, internet, tours.... for your business or travel? Opening in Oct 2008. Ideal for leisure travellers, whether staying briefly in Hanoi or on an extended visit. Great Old Quarter location, close to all the markets, attractions, and great street food. All types of rooms, from singles to a six bed dorm room. Friendly and fun. Everyone is welcome! Hanoi Victoria Hotel is re-openned after a long time of renovation and offers tastefully decorated and high standard rooms. All rooms are comfortable and managed by warm and friendly staff. Your pleasure is our success! New, boutique hotel, great location, professional staffs. Hanoi Lucky III Hotel, a three stars brand new hotel in the center of Ha Noi. Hanoi Lucky II Hotel is located in the heart of Hanoi Old Quarter. 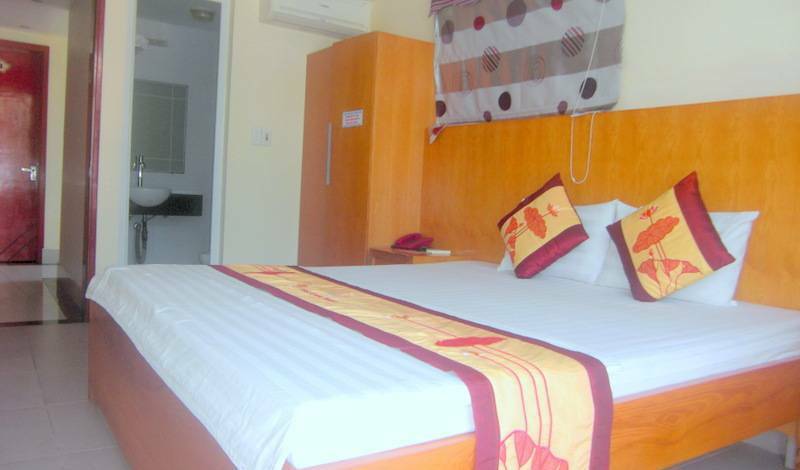 Newly opening at the end of 2008, Amazon hotel is offering 30 well furnished rooms including suites and deluxe. All rooms are well designed with both modern and boutique style. Ha Noi Atlantic Hotel is one of the leading 2 star-hotels as well as provides unwavering services to the tourists in Ha Noi’s Old Quarter. A picked hotel by many Lonely Planet Guide book. Located in St. Joseph's Church (Cathedral) quarter. You can get all famous travel points, restaurants, craft shops, pubs and art galleries,... as soon as you step on to the main road. Summer Promotion: If you book up 3 nights we will discount 20 % off based on Balance due. We HIGHLY RECOMMEND a Hanoi Cozy Hotel , which has just recently opened. Cozy Hotel ( BOUTIQUE Hotel in Hanoi ) Luxury Hotels, central of Hanoi Nice Rooms Great.. Located in Hang Bo street is famous Hanoi's Old Quarter. Hanoi Golden River Hotel, a new beautiful hotel locates just among the Old Quarter district of Hanoi. Blended with oriental beauty and luxury accommodations our charming hotel will bring to you a comfortable and unforgettable trip. Managed by two Australian's; Luke and Sarah, Hanoi Rendezvous Hotel is a newly renovated hotel in the heart of Hanoi's Old Quarter. We offer great value tours, providing you with experiences like no other. The Real Hanoi Experience! Queen City Hostel is located in the Old Quarter - the centre of Hanoi - full of ancient streets and is the financial heart of the city. We offer tastefull decorated and high standard rooms. We are also tour operators, you can plan your tour with us. PHUDO hotel-Where you can find the pleasure stay in the botique area!!! All rooms are airconditioned and equiped with modern furniture, ID telephone, cable TV, personal computer with ADSL connection, mini bar, electronic safe.... Each room has private bathroom with bath-tub, hot shower, hair-dryer. Golden Wings II Hotel in Hanoi is one of the finest hotels in Hanoi and offers pleasing accommodation to the discerning travelers. Welcome to New Star Hotel - Provides a felling of great! The Asia Palace Hotel. Three brand new 3 star hotels Offer fine acommodation in an authentic and boutique Vietnamese neighborhood. Conveniently located in the very heart of the charming historic, shopping, eating Old Quarter. Hanoi Mai hotel is 4 -star-hotel Centrally located in Hanoi’s Old Quarted, Mai Hotel Hanoi is a 7-minute walk from Sword Lake. It features a restaurant and air-conditioned rooms with a private balcony. Wi-Fi and parking are free. Welcome to Old Street Hotel ! A Boutique hotel located in the heart of Hanoi's historic Old Quarter with luxury rooms serviced with great care. Located on Lo Su street ( 1 min walk from Hoan Kiem Lake ). For November, 2011, we are offering a free airport pick up for every three night stay ( this is applicable from Nov 1 to Nov 30, 2011 ) No exceptions. Classic 2 hotel, Classic 1 hotel's sister hotel, located in the center of Hanoi Old Quarter. The hotel was designed and built with high architectural standards. Rooms are very clean, large, brighting with nice view of Hanoi old streets. New Vision Hotel - An Ideas Place To Stay In Ha Noi Viet Nam !!! Paramount Hotel, 28 Ngo Huyen Street, Hoan Kiem, Hanoi, is located near Hoan Kiem Lake, the heart of Hanoi, one street from St. Joseph’s Cathedral in an area offering a wide choice of excellent Western style and Vietnamese restaurants. Rising Dragon Hotel believes in and practices responsible, sustainable services that respects traditional cultures, supports local economies and protects the environment. Warmest welcome to Calypso Legend Hotel – A new hotel of Calypso Hotel group – the luxury boutique hotel in the heart of Hanoi Old Quarter. Located in the heart of Hanoi City. GRAND OPENING ON THE OCTOBER 2015, THE HANOI LOTUS BOUTIQUE HOTEL IS A NEW HOTEL located in the heart of Hanoi`s historic Old Quarter. Santa Hanoi Hotel 2 has newly built in January 2012, All rooms are decorated with natural wooden floor and well equipped with modern stylish furniture, spacious rooms, offering panoramic view from balcony, our hospitable, enthusiastic and friendly staff. Come to HaNoi Capital Hotel, you will be very satisfied with our professional services and our experienced and enthusiastic staffs. Situated in 62 Hang Bac street, Hanoi Paradise 2 Hotel is newly opening in 2010 and centrally located in Hanoi's Old Quarter and offers luxurious rooms with free internet access with COMPUTER in all rooms and excellent leisure facilities. Hidden Charm is a brand new hotel, located in the central of Old Quarter. Excellent location, just 1 minute walk to Hoan Kiem Lake and Water Puppet Theatre, heart of Hanoi Old Quarter. Rooms are newly furnished and very comfortable. Free internet-computers at the lobby and wireless also. Staff are super friendly and helpful. Bao Khanh hotel is proud to get the certification as a 3 star hotel at 2008 by the Vietnam National Administration of Tourism. Hanoi First Choice Hotel is a brand new hotel, located in Centre of Old Quarter, Highly recommended hotel, Great hotel in Hanoi with professonal staff. 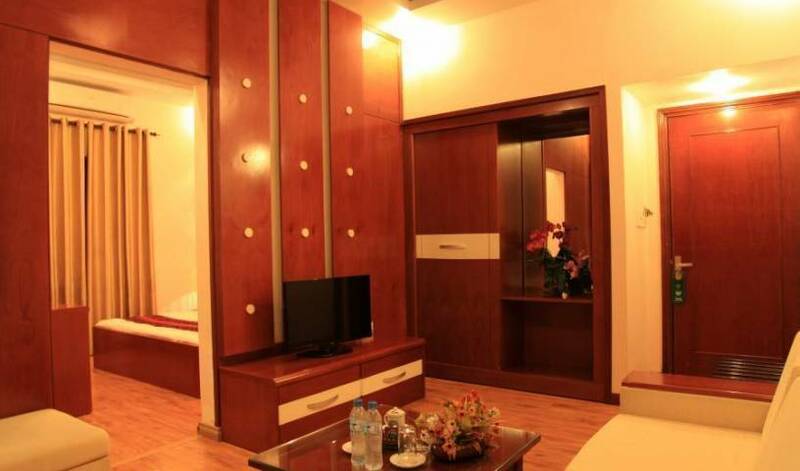 HANOI NEW PARADISE Hotel is located in the middle of Hanoi capital citys ancient streets. It is nearby the banking, diplomantic and public office centers, extremely convenient for activities of businessmen and travelers. Guests from here can admire romantic beauty of West Lake and Red River. Newly opened on 15 May 2010, Royal Palace Hotel is BRAND NEW LUXURIOUS HOTEL in located of the heart of Hanoi`s historic Old Quarter. The Royal Palace Hotel is a luxurious boutique hotel that offers elegant rooms including some with views of the city. We are honoured to welcome you to the Emerald Hotel. Our hotel management and associates are here to make your stay as comfotable, as relaxing, and as memorable as possible. Emerald Hotel is one of the most beautiful and luxirious hotel in the city. Nice 3 stars Hotel located right in Hanoi Old Quater. Accommodation are well-equipped in stylish Asian design, accessible by elevator. Fully services with active Hotel teams. Hope to bring you most enjoyable time of stay in Ha Noi. One of the best boutique 3 star hotels located in the central of Hanoi Old Quarter. VIET HOTEL is situated in the heart of Downtown Hanoi and just 35 minutes from Noi Bai International Airport. Close to City Centre, one of the biggest shopping malls in Hanoi and it's just moments away from the major entertainment. Located right in the center of Hanoi accient quarter with handircaft villages. The distance from Hang My Hotel to HOAN KIEM lake is about 100 meters. BRAND NEW HOTEL. Boutique in size and style with streamlined service & luxury rooms. Primely located in Hanoi’s historic Old Quarter, just 2 minute walk away from Hoan Kiem Lake, close to many tourist attractions and the central business district.